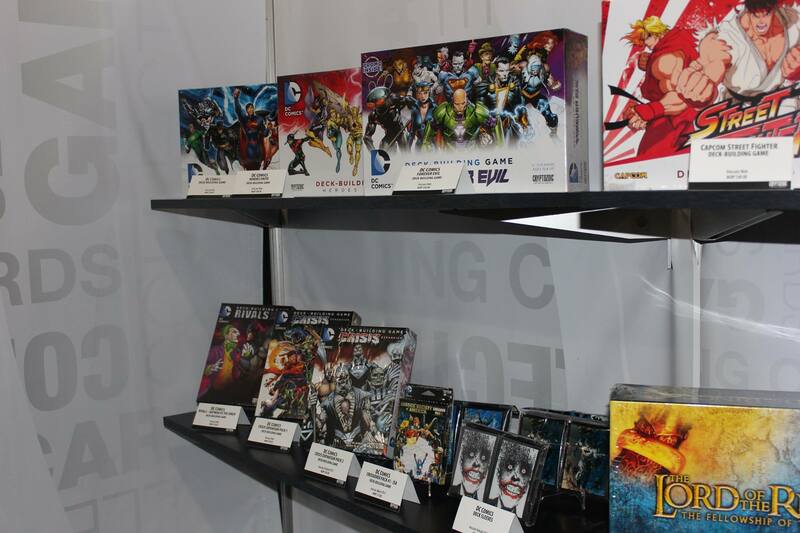 So you probably haven’t heard of Cryptozoic Entertainment before, which is such a shame. 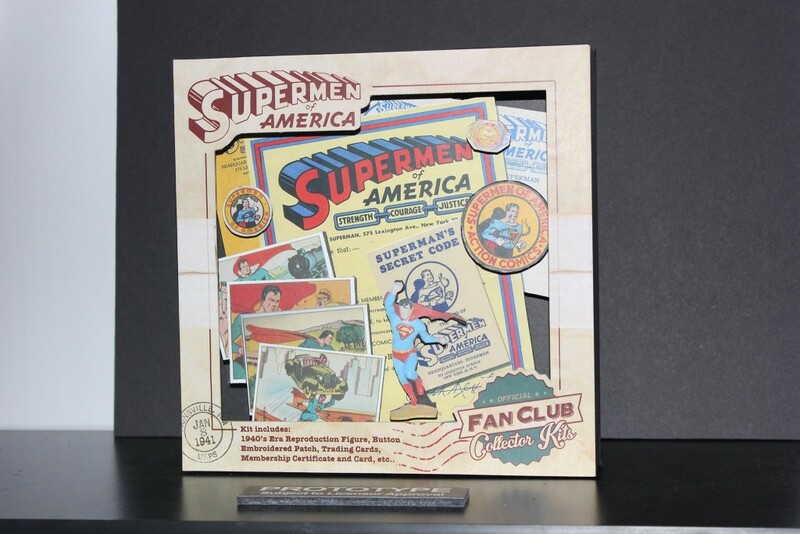 As it happens, I’ve seen their products, but it never registered – mostly because I haven’t collected trading cards since I was in elementary school. 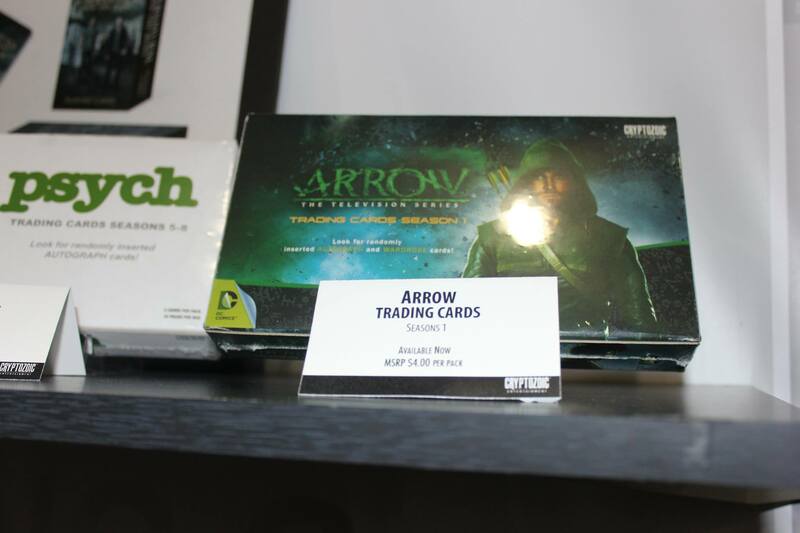 Wow, was I wrong to think they only offered trading cards…and there is more to the cards than you’d think, not only in and of themselves, but of other products available. 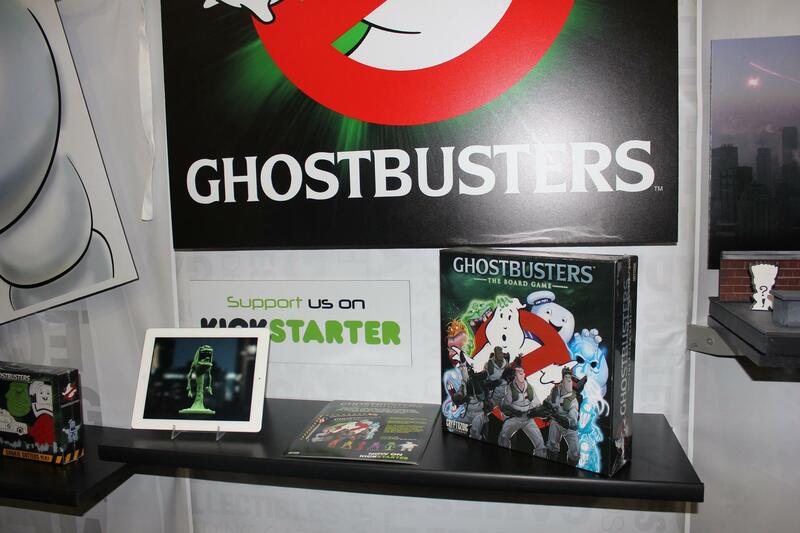 Cryptozoic are total fans of everything they carry, and this is readily apparent with their most buzzworthy item at the moment: Ghostbusters. They were able to make a deal with Sony Pictures to create a Ghostbusters board game, something I’m sure everyone has been salivating in hopes of for ages. I know I have! Cryptozoic launched a Kickstarter in February of this year and it was fully funded – and then some – within a week! The original figure was $250,000 and it’s now over $550,000 with 23 days left to go. They keep adding new characters and elements to the game with every major milestone from backers. 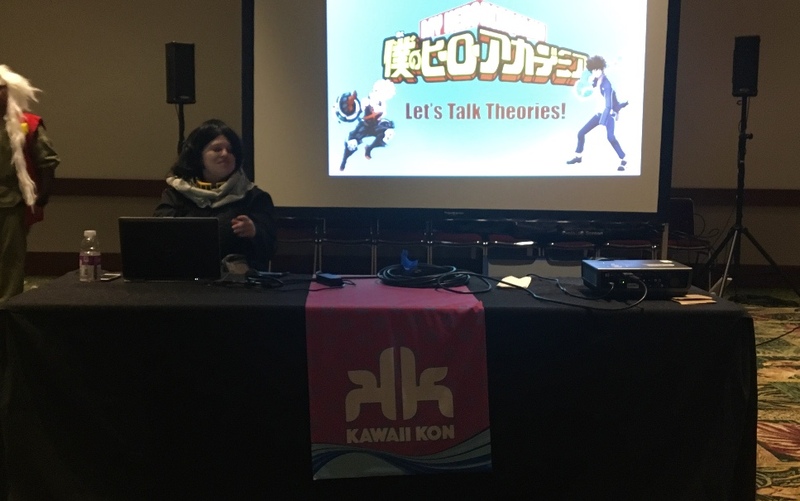 I don’t think anyone ever expected that this would be so popular, but that’s what you get when you have honestly enthusiastic fans creating something for not only themselves, but other fans as well. 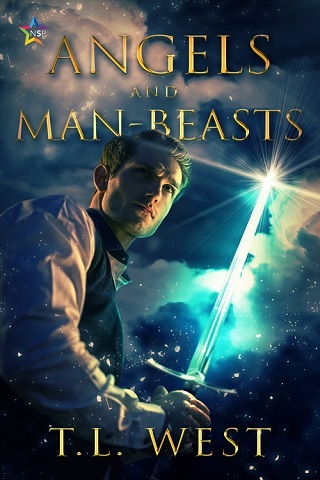 We at The Geekiary wholeheartedly agree with this sentiment. The game should be available in October 2015, and I highly suggest checking out their Kickstarter! 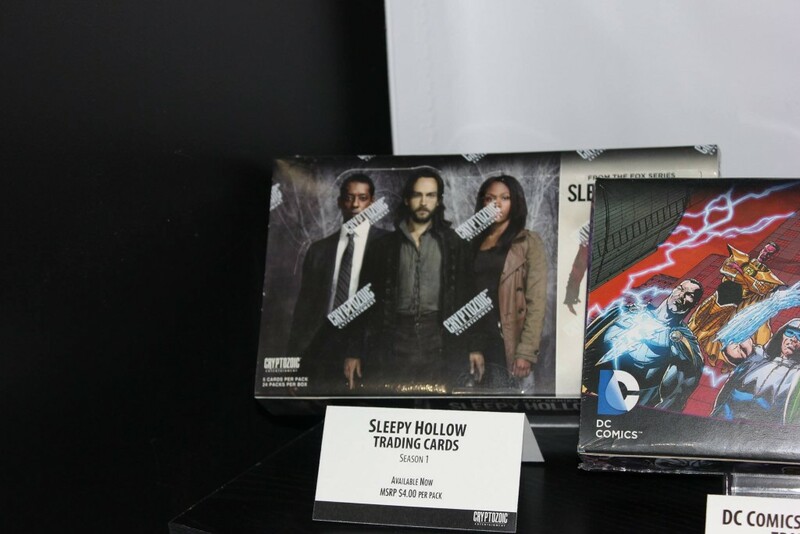 So as previously mentioned, Cryptozoic also offers trading cards, and they had a massive Supernatural card at their booth! 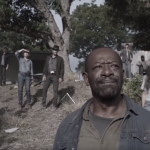 This is a story I need to tell, because they have loads of original wardrobe cards in normal-sized packs, and were able to get their hands on the actual clothes that the production didn’t need anymore. 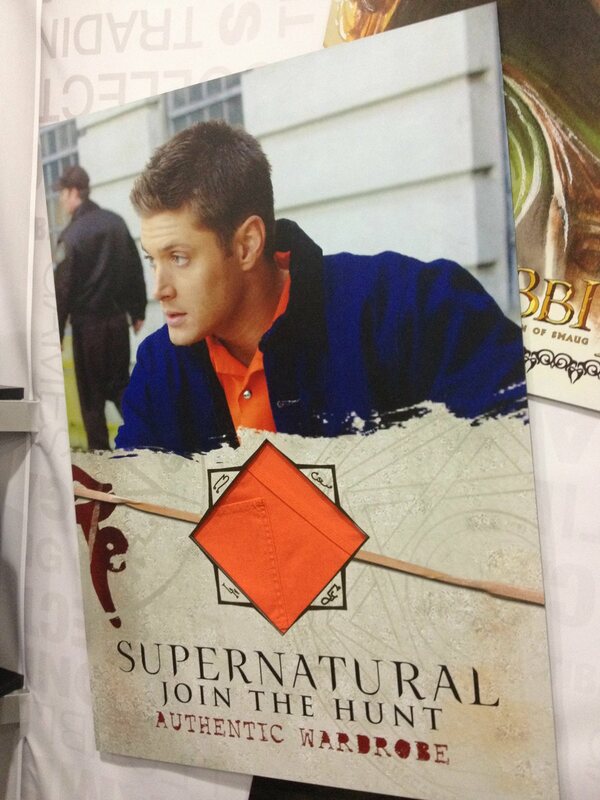 This included the orange jumpsuit that Jensen Ackles (as Dean Winchester) wore in 2×19 “Folsom Prison Blues”. 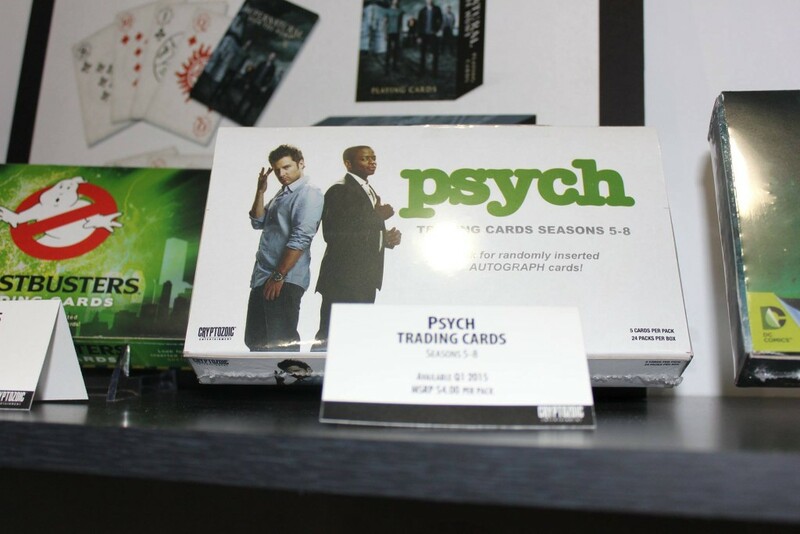 The geniuses at Cryptozoic (and my new favorite people ever) thought, hey, we have this whole jumpsuit, and we only make a couple hundred cards for each item…why not make a few big ones? And that’s how I touched the jumpsuit I tweeted about. I was half-tempted to stick my hand in the pocket, but I was in public. 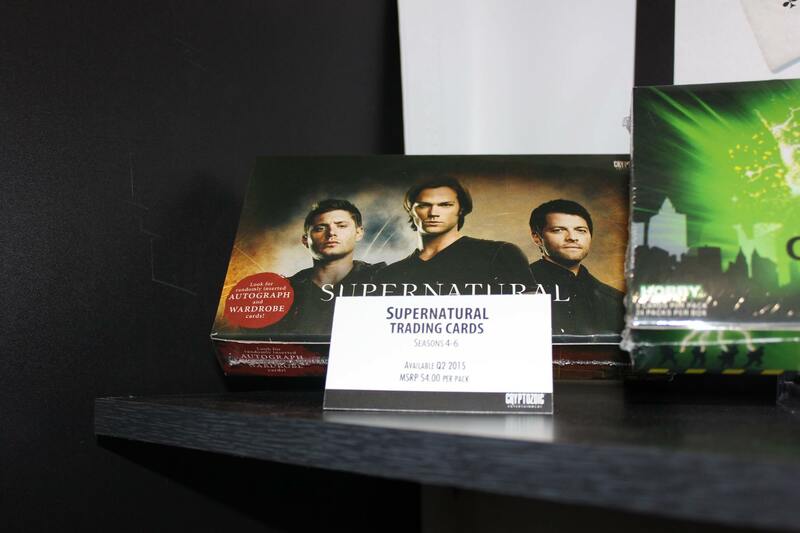 *Insert cheesy smile here* They currently have Supernatural Seasons 1-3 trading cards, and seasons 4-6 are coming soon. 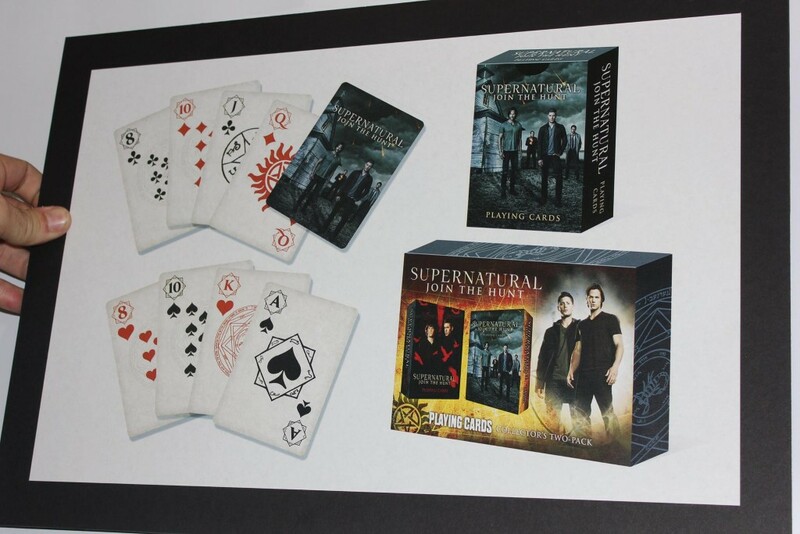 They are also doing an awesome deck of Supernatural playing cards as well! In regard to other licenses, they have Sleepy Hollow, Castle, Psych, Arrow, The Hobbit, The Walking Dead, and so many more. 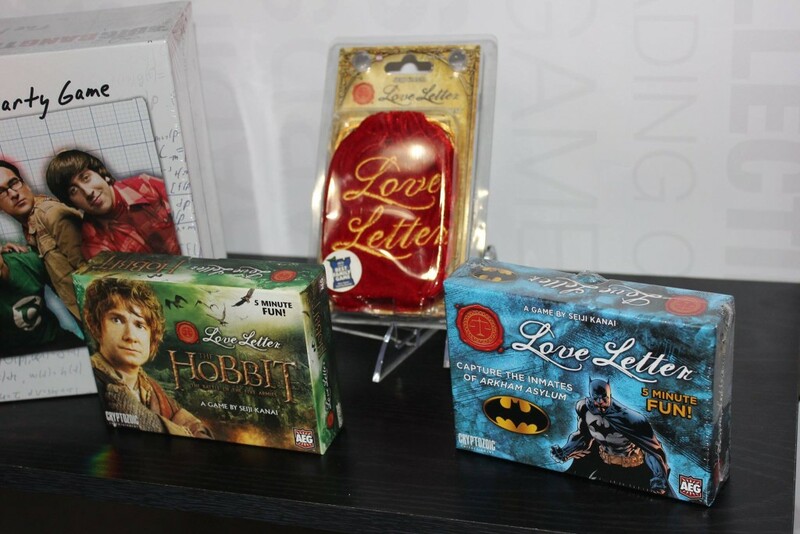 They also do a number of card games, including a new one called Love Letters. 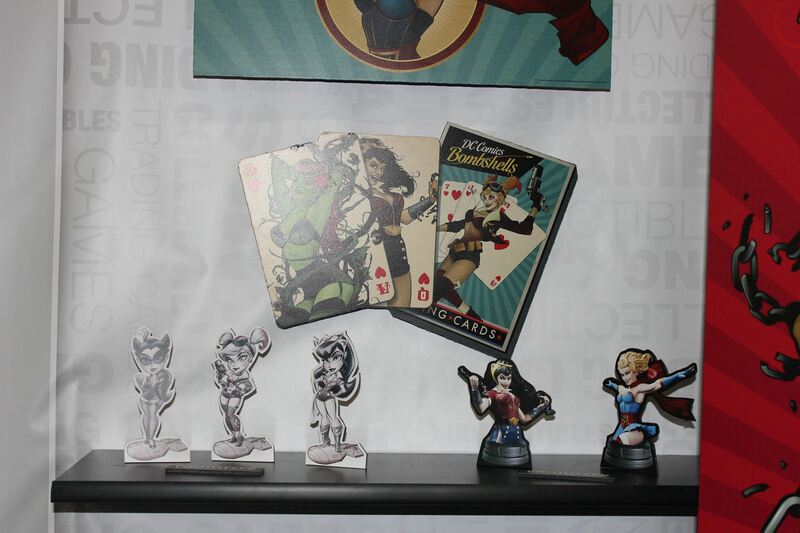 They have the traditional Tempest line, as well as Batman and other licenses, and they are also going to be jumping on the DC Bombshell bandwagon with some great busts of our beloved girls, as well as playing cards. 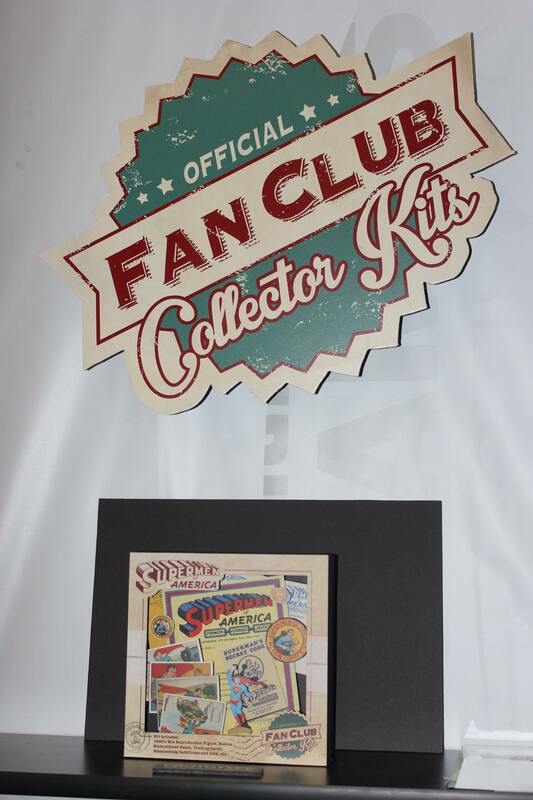 The one other thing that I’m really excited for is the fan club kits. They had a Superman mock-up of what they are planning. It’s based on the old 1940s fan club kits made of paper, but these are going to be much studier stuff. If they have a decoder ring, I am all in! They are planning to do other classic characters, hopefully from both Marvel and DC. 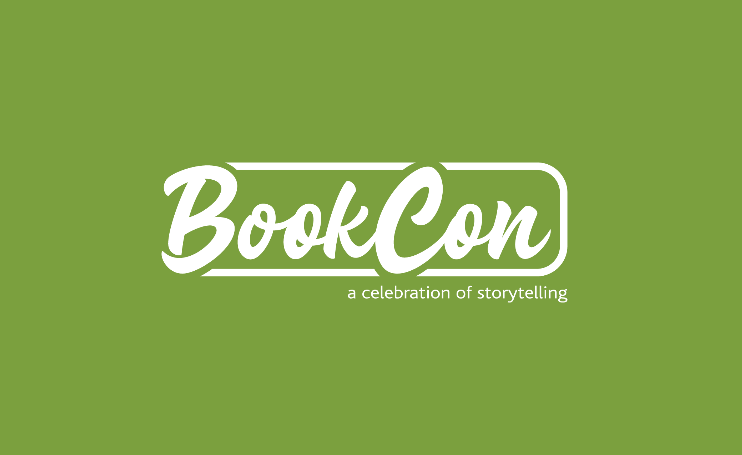 Honestly, this is a very fan-friendly company that’s responding to what we like – they’re definitely worth a look!